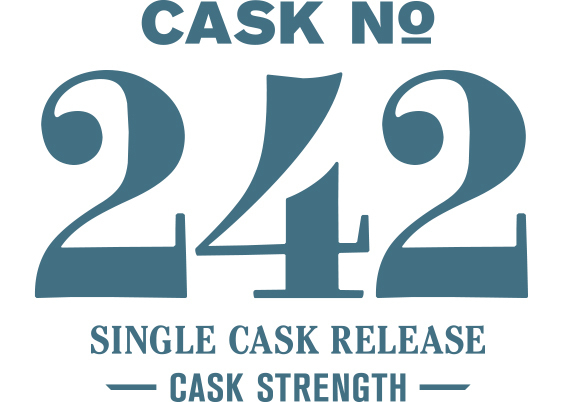 Casks #242 and #255 join our Single Cask Series together to illuminate the distinctive flavors imparted by our two types of new American oak cask. Matured in a Cooper’s Select cask made from 18-month air-dried staves with a #3 char, cask #242 showcases the bright, sweet character this cask accentuates. The initial nose is delicate, highlighted by an assortment of glazed pastries. The palate reinforces the nose with a soft herbal infusion character. Water additions bring aromas of rosemary-infused milk chocolate and apple crumble and a development of the palate, adding cinnamon rolls, macaroons and a very soft sweetness.